Amateur Radio volunteers this week responded to help, after flooding of historic proportions struck parts of Louisiana and Mississippi over the weekend in the wake of torrential rainfall. States of emergency were declared in both states, the federal government has declared Louisiana a major disaster area, and the Louisiana Emergency Operations Center was at full activation. FEMA Administrator Craig Fugate, KK4INZ, visited the stricken region on August 16. Louisiana Amateur Radio Emergency Service (ARES) activated, and Section Emergency Coordinator Adam Tamplain, KD5LEH, put out a call for volunteers to support communication at Red Cross shelters in the hard-hit Livingston Parish and Baton Rouge area. On August 16, the Red Cross was still requesting shelter operators. Although some residents were being allowed to return home at mid-week, about 4000 people remain in shelters. "While we have had an increase in response from the Southeastern area, it's still not quite enough," Tamplain said on Tuesday. "Alabama ARES is attempting to put together a team for us. We have seen support from Southwest Mississippi as well. We had Operators at Red Cross New Orleans, Lafayette, and Baton Rouge today." Tamplain said a dozen or so operators were staffing eight shelters; nearly 30 remained open at mid-week. He asked additional volunteers to check in at Red Cross Headquarters in Baton Rouge. Red Cross Vice President of Disaster Services, Operations, and Logistics Brad Kieserman called the Louisiana flooding the worst natural disaster to strike the US since Hurricane Sandy in 2012. Area waterways have reached record flood levels, affecting some 135,000 households and displacing thousands of residents. More than a dozen have died. Roads, including parts of Interstates 10 and 12, had to be closed, and some highways remain impassable. Most conventional telecommunication systems have remained operational. "Significant river flooding persists this week across portions of southern Louisiana," FEMA said in its August 18 Daily Operations Briefing. "Major flooding will continue along portions of the Amite, Vermilion, Mermentau, and Calcasieu rivers." FEMA said flood conditions were "likely to persist into next week." Noting the "desperate need" for ham radio volunteers in Louisiana, ARES volunteers in Mississippi have been asked to provide assistance. Prospective Mississippi should not self-deploy to Louisiana, but coordinate through Mississippi Section Manager Malcolm Keown, W5XX. Primary operating frequencies are 444.950 MHz (107.2 Hz), 146.940 MHz (107.2 Hz), and 146.790 MHz (107.2 Hz). Louisiana ARES HF Frequencies now designated for use are 7.255 MHz and 3.873 MHz LSB. Digital operation is on 3.595 MHz. These should be kept clear of non-emergency traffic. Anticipating an FCC Technological Advisory Council (TAC) investigation into changes and trends in the radio spectrum noise floor, ARRL has asserted that such a study is long overdue. In part, the study would determine if there is an increasing noise problem. The FCC Office of Engineering and Technology (OET) announced plans for the TAC study in mid-June and invited comments and answers to questions that the TAC posed concerning the methodologies for such a study. The League's comments also praised the TAC -- an advisory group to the FCC -- for tackling the issue and expressed the hope that the noise study might, for the first time, provide a useful, objective basis for spectrum overlays and other future allocation decisions. ARRL allowed that while a noise floor problem exists, "The magnitude of this problem and the extent of it in the 21st century is virtually unknown." "The TAC and the leadership in this study initiative are to be congratulated for finally undertaking what has been universally determined to be necessary for well more than 2 decades," ARRL said. "The Commission should not have made spectrum management decisions without this noise information, and it is unfortunate that the initiative has been delayed this long." The ARRL said League members could be of use in gathering data for the TAC noise study, but advised that any urgency in initiating the study "be tempered by the prerequisite need to develop a standardized and valid methodology for conducting the study," in order to "obtain quantitative data regarding the noise floor in various environments and trends over time," ARRL said. ARRL said the focus of the TAC noise study "should be an accurate determination of what noise levels exist in as wide a range of indoor and outdoor environments as possible. It should, to the extent possible, determine what types of noise are being found: Broadband, non-specific noise; broad noise spectral peaks; broadband digital noise; and noise occurring on discrete frequencies." 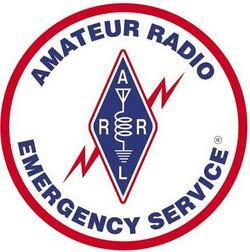 "We also hope that these comments will serve as a stimulus for the Commission to re-evaluate its 'hands-off' policy with respect to the most recalcitrant and unhelpful operators of incidental and unintentional radiators which are causing long-term interference problems, such as electric utilities," ARRL concluded. "The unwillingness of the Commission to issue meaningful sanctions has led to the virtual absence of any incentive to comply with the Commission's Part 15 non-interference obligations." 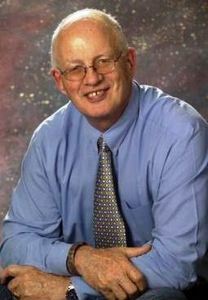 ARRL pointed out that the TAC urged the Commission in 1998 to immediately undertake a multi-part noise floor study and cautioned it against implementing new spectrum management techniques or initiatives without first concluding one. "Yet, 16 years later, no such study has been conducted," ARRL said. "Because the Commission's resources are woefully inadequate to address RF noise through widespread enforcement of Part 15 and Part 18 rules governing RF emitters after the devices are deployed, the only reasonable means of dealing with them is to enact and enforce, ex ante, appropriate rules for RF emitters that are based on actual knowledge of the noise floor and trends over time," ARRL said. "The growing number of interference complaints indicates that any increase in noise levels will result in harmful interference, so these rules may need to require a decrease in the permitted limits for emission, to balance the aggregate noise potential of a growing number of noise emitting devices." Read more. "SWR" is the topic of the current (August 11) episode of the "ARRL The Doctor is In" podcast. Listen...and learn! If you've never listened to a podcast before, download our beginner's guide. Just ahead: "Software Defined Radio." The 100th anniversary of the National Park Service -- known as Founders Day -- is August 25. NPS units across the country have planned special activities on that day. Many units also will include Amateur Radio and NPOTA activity during all of next week. One of these will be Marsh-Billings-Rockefeller National Historical Park in Vermont, where some ARRL staffers will team up with members of the West River Radio Club on Saturday, August 27, to help showcase the NPS unit and Amateur Radio to the general public. Unless you're visiting an NPS unit next week as part of the official Centennial celebration, stay close to your radio and see how many NPOTA units you can work! There are 39 Activations slated for the week of August 18-24, including Fort Frederica National Monument in Georgia, and the Maggie L. Walker National Historic Site in Virginia. The FCC will accept public comments in response to a July FCC Notice of Proposed Rule Making (NPRM) in WT Docket 16-239 -- the "Symbol Rate" proceeding -- until October 11. Reply comments -- ie, comments on comments already filed -- are due by November 10. The NPRM now has been published in The Federal Register, thus opening the respective 60-day and 30-day comment/reply comment windows. 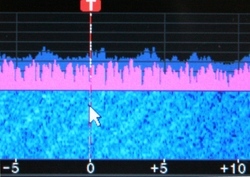 In response to a 2013 ARRL Petition for Rule Making (RM-11708), the FCC proposed to revise the Amateur Service Part 97 rules to eliminate current baud rate limitations for data emissions, consistent with ARRL's Petition, but it declined to propose a bandwidth limitation for data emissions in the MF and HF bands to replace the baud rate limitations. ARRL had asked the FCC to change the Part 97 rules to delete the symbol rate limits in Section 97.307(f) and replace them with a maximum bandwidth for data emissions of 2.8 kHz on amateur frequencies below 29.7 MHz. Interested parties may comment via the FCC's Electronic Comment Filing Service (EFCS), as well as by mail. The ARRL Rookie Roundup is back, with the RTTY event set for Sunday, August 21, 1800 UTC through 2359 UTC. The Rookie Roundup is aimed at helping recently licensed amateurs to build their HF operating skills. Specifically aimed at those who are new to Amateur Radio, the Rookie Roundup brings the fun and Elmering of the old Novice Roundup into the 21st century. A Rookie is anyone first licensed during the current calendar year or during the previous 2 calendar years, regardless of license class. If you were licensed in 2014, 2015, or 2016, you may compete as a Rookie. Non-Rookies may only work Rookies, while Rookies may work everybody. Entry categories include Single Operator Rookie, Multioperator Rookie, and Team. All Rookies are limited to a maximum of 100 W. Spotting assistance or using call sign and frequency alerting systems is allowed, but self-spotting or asking somebody to spot you is not. All Rookies must identify themselves as Rookies. Rookie stations call "CQ RR" on RTTY. The exchange is call sign, first name, two-digit number of the year first licensed ("check"), and state, Canadian province, Mexican call area, or DX. For example: N0AX de KB1QAW Carol 08 CT.
More information is on the ARRL Rookie Roundup web page. September is National Preparedness Month. As part of its focus on educating and getting prepared, FEMA is offering a "Family Emergency Communications Plan," which helps families work out their communication strategies in the event of an emergency. ARRL is partnering with FEMA to offer this material to interested Amateur Radio clubs that are willing to present it in their localities during National Preparedness Month. While the FEMA presentation focuses on the Family Communications Plan and doesn't specifically mention ham radio, the material offers Amateur Radio clubs a great opportunity to raise their visibility in their communities. A webinar with FEMA Region 1 Preparedness Liaison Sara Varela will take place on Tuesday, August 23, at 8 PM EDT (Wednesday, August 24, at 0000 UTC), to offer background and training for any club wishing to present FEMA's Family Emergency Communications Plan material in September. Registration is requested. Presentation of the FEMA material to local communities should take approximately 1 hour. It will include a PowerPoint presentation and links to worksheets that families can discuss and fill out together. Clubs are free to offer additional presentations on their activities following the program covering the FEMA material. A lot of radio amateurs bemoaning the recent spate of poor HF conditions would love to have a way to improve propagation -- perhaps without even having to rely on the whims of the Sun. The US Department of Defense has been thinking along the same lines. 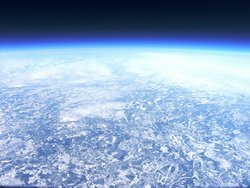 An August 9 article in New Scientist reports that the US Air Force is exploring a plan to bombard Earth's upper atmosphere with ionized gas dispersed from CubeSats. According to the New Scientist article by David Hambling, the Air Force hopes to improve long-distance radio communication by "detonating plasma bombs" in the upper atmosphere, and the military branch has contracted with corporate and university researchers to figure out how to make this a reality. The US Air Force is no stranger to ionospheric tinkering, having just last year transferred the High Frequency Active Auroral Research Project (HAARP) facility to the University of Alaska Fairbanks (UAF), which hopes to restart it next year. HAARP's super-power RF in the high-frequency spectrum has been used to stimulate the ionosphere and create a plasma cloud that could support HF radio propagation; it also has been used to study how the ionosphere functions. The trick with using CubeSats to disperse ionizing gas above Earth is coming up with a plasma generator small enough to fit within a CubeSat, and controlling how the plasma will disperse. New Scientist said General Sciences of Souderton, Pennsylvania, and Enig Associates of Bethesda, Maryland, are working with scientists at Drexel University and at the University of Maryland, respectively, on separate methods to produce plasma. The New Scientist article said the better approach will be selected for a second phase, which will involve testing plasma generators in vacuum chambers and exploratory space flights. Read more. AMSAT-UK reports that four CubeSats comprising the BIRDS (Joint Global Multi-Nation Birds) constellation are set to deploy from the International Space Station (ISS) in 2017. The 1U CubeSats -- BIRD-B, BIRD-J, BIRD-G, and BIRD-M -- have identical designs, will use the same Amateur Radio frequencies, and will be deployed as a group. The main mission of the 2-year project is to use the constellation to carry out radio communication experiments via a network of UHF/VHF Amateur Radio ground stations around the world. Four faculty members -- including Yasuhiro Tokunaga, JG6YBW -- and 15 students at Japan's Kyushu Institute of Technology (Kyutech) are coordinating the experiment, with participation from student engineering teams at universities in Bangladesh, Ghana, Mongolia, Nigeria, Thailand, and Taiwan. Project literature and news releases describe the BIRDS project as a five-satellite constellation, but the International Amateur Radio Union (IARU) reports frequency coordination requests for only four. The challenges will be to distinguish each CubeSat from its companion spacecraft transmitting on the same frequency, hand over operation of a satellite from one ground station to another, and assemble the satellite data obtained at different ground stations. Radio amateurs have been invited to join the network to assist in the data downlink and reconstruction of patchy satellite data into meaningful data. Orbit information and the operational plan of each satellite will be made available to the Amateur Radio community, along with software to decode the satellite data. Read more. The Es'hailSat Qatar Satellite Company has announced that the launch of Es'hail-2, which will carry the first "Phase 4" geostationary Amateur Radio transponder, has been shifted to the 3rd quarter of 2017. Es'hail-2 had been scheduled to launch in December. Coverage of the Amateur Radio narrowband (NB) and wideband (WB) transponders should extend from Brazil to Thailand. Es'hail-2 will carry two P4 non-inverting Amateur Radio transponders operating in the 2.4 GHz and 10.45 GHz bands. A 250-kHz bandwidth linear transponder is intended for conventional analog operation, and an 8 MHz bandwidth transponder is designed for experimental digital modulation schemes and DVB amateur television. 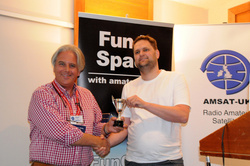 In comments filed in July, the Radio Society of Great Britain (RSGB) has told telecommunications regulator Ofcom that it was "deeply disappointed" that it failed to recognize Amateur Radio's innovational activity at 5 GHz and that it did not engage the Amateur Radio community in its proceeding, Improving Spectrum Access for Consumers in the 5 GHz Band. The proceeding (or "consultation") proposes an expansion of the 5 GHz Wi-Fi bands that could affect so-called "weak-signal" narrowband and moonbounce users as well as satellite downlinks, while also inhibiting innovation of Amateur Radio mesh and other data systems. "Despite some unjustified UK-specific amateur licensing restrictions, the 5 GHz band is home to a significant and growing amount of innovation which should be allowed to prosper and not suffer from harmful interference," the RSGB said. "[W]e are deeply disappointed that Ofcom has so far failed to recognize this and that it would have been prudent to engage with us more fully, so that both technical and impact assessments could have been far more accurate." RSGB said it is "deeply opposed" as well to outdoor Wi-Fi usage in the 5730-5850 MHz band, where "most sensitive" Amateur Radio applications operate -- 5760 MHz narrowband usage and 5840 MHz satellite downlinks. The RSGB contended that Ofcom "has deliberately not contacted the most innovative incumbents/stakeholders" prior to the formal consultation period, and that as incumbents, "we have been blocked from contact during the consultation." The RSGB said it expects Ofcom "to make amends and engage," and that the regulator's research "is badly flawed and belittles incumbents." AMSAT-UK also commented in the consultation, disputing Ofcom's assertions regarding the altitude of Amateur Radio satellites and pointing out which ham satellites are using the 5 GHz band. Read more. An unexpected invitation from the Venezuelan Navy gave rise to a DXpedition later this month to Aves Island -- Isla de Aves -- currently number 17 on the ClubLog DXCC Most Wanted List. The departure date for the YX0V Aves Island DXpedition has been moved up by a few days. The team now will depart Caracas on Saturday, August 27. The YX0V team will include 14 operators. 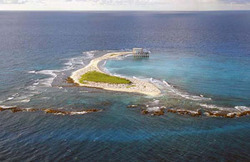 Members of the Asociación de Radioaficionados de Venezuela (ARV) and Grupo DX Caracas received the surprise Navy invite while trying to organize their annual Islands on the Air (IOTA) DXpedition to Los Monjes Island (SA-015). Aves Island (NA-020) was last activated in 2007. Tad Cook, K7RA, Seattle, reports: Conditions turned a little more favorable since last week, with both solar flux and sunspot numbers up, and geomagnetic indices substantially lower. Average daily sunspot numbers for the August 11-17 period were 73.9, compared to 52 for the previous 7 days. Average daily solar flux went from 87.9 to 89.2. The average daily planetary A index dropped from 14.6 to 16.9, and the average mid-latitude A index went from 13.7 to 7.4. Predicted solar flux for the near term is 85 on August 18-19; 80 on August 20; 75 on August 21-22; 80 on August 23-24; 75 on August 25-September 1; 80 and 85 on September 2-3, and 90 on September 4-14. Solar flux then pulls back to 75 for September 18-28. The predicted planetary A index is 8, 10, 14, 10, and 6 on August 18-22; 5 on August 23-24; 8 on August 25; 5 on August 26-28; 15, 25, and 18 on August 29-31; 15 on September 1-2; 12 on September 3-4; and 15 on September 5-6. 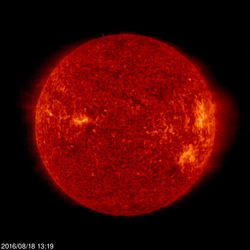 The predicted planetary A index is 25 on September 26, indicating high geomagnetic activity. Sunspot numbers for August 11 through 17 were 82, 86, 73, 61, 70, 81, and 64, with a mean of 73.9. The 10.7 centimeter flux was 94.7, 94.8, 90.5, 87.2, 87.6, 86.5, and 82.9, with a mean of 87.9. Estimated planetary A indices were 9, 11, 5, 4, 4, 6, and 9, with a mean of 14.6. Estimated mid-latitude A indices were 8, 11, 5, 4, 4, 8, and 12 with a mean of 13.7.